Home » Archive » Topics » Facility Management » Are Companies Prepared For Workplace Violence? 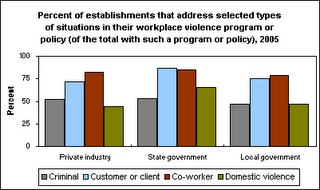 According to new research, most companies are unprepared for workplace violence. “Over 70% of United States workplaces do not have a formal program or policy that addresses workplace violence, the U.S. Department of Labor’s Bureau of Labor Statistics reported. Originally published on the Reliable Plant magazine website.